Premises Pointers - Volume II, No. 10 | Hurwitz & Fine, P.C. Greetings and Happy St. Patrick’s Day and also St. Joseph’s Day (March 19th)! For those of you who don’t know – St. Joseph’s Day is widely celebrated in Sicily where Saint Joseph is regarded by many as their Patron Saint – thanks are given to Saint Joseph (San Giuseppe in Italian) for preventing a famine in Sicily during the Middle Ages. According to legend, there was a severe drought at the time, and the people prayed for their patron saint to bring them rain. St. Joseph’s day is celebrated with a table of traditional (and delicious) food, bread and sweets. Regardless of what holiday you celebrate, enjoy the weekend! Earlier this month, I attended the annual NRRDA (National Retail and Restaurant Defense Association) meeting held in West Palm, Florida, which is always a great event with excellent speakers, presentations and camaraderie with attorneys and industry members. It was great catching up with some of you there and if I missed anyone I apologize! Next year! 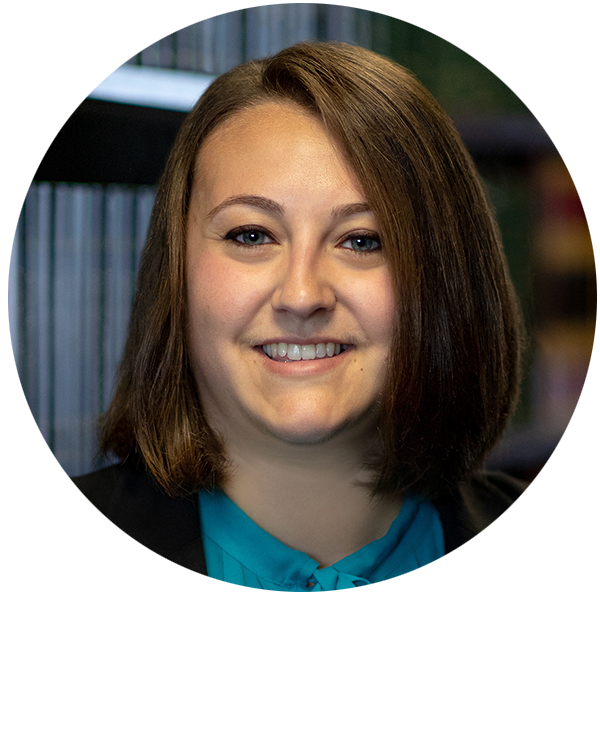 In continuing our discussion of the Child Victims Act, this month’s column will focus on some of the anticipated, and more nuanced, impacts of the law. As you may recall, a plaintiff bringing a claim for sexual abuse he or she endured during childhood now has until age 55 to commence a civil action against the perpetrator(s) of that abuse as well as against any institution whose negligent acts or omissions are alleged to have resulted in said abuse. 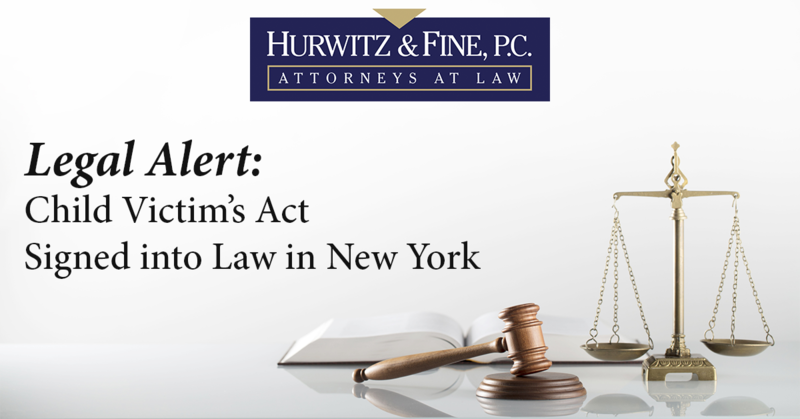 The law also provides a “revival period” for plaintiffs whose claims were previously dismissed as untimely (and/or for people currently over the age of 55) and removes pre-requisites to suit such as the pre-suit Notices of Claim required by the municipal law. So, what does the law mean for the “notice” defense? Stated very simply, prevailing on a negligence claim requires that the harm causing injury be foreseeable (and therefore preventable). Foreseeability is typically defined in terms of knowledge, or notice, about a hazard or behavior that should (or could) have been predicted or anticipated by the defendant. Veterans of premises liability work, particularly negligent supervision claims, know that an institution like a school, daycare, or sports league cannot be held responsible for the bad acts of an employee, volunteer, or student unless the institution knew, or had reason to know by way of some prior similar behavior, that the offender was prone to such behavior and failed to take any action to prevent the bad act from occurring. In building a plaintiff’s case, and in preparing a negligence defense, defendants typically rely upon the testimony of witnesses acquainted with the tortfeasor and the victim; disciplinary records and history; surveillance video; and sometimes, mental health and criminal background records. Although the extension of the statute of limitations and the institution of the limited revival window are anticipated to create a substantial challenge to evidence gathering (particularly where a defendant no longer has access to a 50-h examination) in cases involving older plaintiffs, the CVA does not alter the evidentiary burden in establishing the tort of negligent supervision nor does it alter, in any way, a defendant’s ability to argue that lacked any and all notice of the offender’s propensity for sexual violence. Does the law allow for a trial preference? In short, yes. Claims raised within the revival window are entitled to a trial preference given the potentially advanced age of not only the plaintiff, but the amount of time that is likely to have passed since the commission of the abuse. Receiving a trial preference from the court system means that a claim will expedited through discovery to trial. Given the evidentiary impact of the revival window, the impact of this “fast-tracking” remains to be seen but is anticipated to be significant. Evidence of employees in area of fall insufficient to establish notice to defendant of water on floor resulting in summary judgment being granted to defendant retail store. Plaintiff was shopping at a Wal-Mart store when she slipped and fell on water. She was wearing flip flop sandals at the time. At some point, Plaintiff walked up the store’s main aisle near the pharmacy and walked past the area where the accident would later occur. About ten minutes later, she walked back down the same main aisle near the pharmacy where she then slipped on a wet surface and fell. Plaintiff did not see the water before she fell, did not know the source of the water, and did not observe any problem containers or bottles in the area. Plaintiff’s clothes were allegedly wet due to contact with the floor. Video surveillance does not indicate source of water or length of time it existed. Plaintiff attempts to prove the defendant store had notice of the water by virtue of the fact employees were in close proximity to the where the fall occurred. Plaintiff was unable to present any other evidence to suggest the store employees knew or should have known of the water. Therefore, defendant’s motion for summary judgment was granted. According to her complaint, plaintiff was shopping at a Wal-Mart store when she tripped and fell on a raised portion of the metal plate, which separated one area of the store from another. At her deposition, she testified she also slipped and fell because it was a “little wet” on the metal plate. An employee testified that one of Plaintiff’s feet was already over the metal plate and her other foot was on the metal plate when she fell. At the scene of the accident, after Plaintiff fell, he observed water on the floor that was more than a couple of drops but less than a puddle. He further testified that the metal plate was basically the same level on both sides of the tile. An assistant manager testified the metal plate was both glued and screwed to the store floor. The court found that the plaintiff was unable to cite to any evidence that there was water on the floor in the area of the accident prior to her fall. The fact it was raining or misting outside was not enough and the testimony of the employee who saw some water after the fact was similarly not sufficient. The court stated that “observations after an accident occurs are not evidence that a condition was visible and apparent prior to the accident.” Ultimately, the court found that no evidence was produced demonstrating any form of notice of the condition. Motel granted summary judgment in playground accident case based on evidence playground equipment not defective. Parents of child brought action against motel to recover damages for personal injuries allegedly caused on playground equipment located on motel’s premises. The child was allegedly injured when his leg became caught in a gap between two platforms on playground equipment located on the grounds of the motel. The Appellate Court ruled that the Supreme Court should have granted the defendants' motion for summary judgment dismissing the complaint based on an expert affidavit, which established that the playground apparatus was not in violation of any relevant statutes or safety guidelines, that it was maintained in a reasonably safe condition, that the platforms were nonhazardous, and that the gaps between the platforms did not violate any applicable guidelines or standards. 3/13/19 Ramirez v. Creative Linen House, Inc.
Summary judgment gratned to retail store based on surveillance video demonstrating bucket plaintiff tripped over was open and obvious and readily observable. Everyone’s wearing green and getting ready for St. Patrick’s day on Sunday – but let’s not forget our high school English teachers. Today is a key day for Shakespeare’s doomed autocrat, Julius Caesar. Had Mr. C heeded the soothsayer’s warning to "beware the Ides of March,” we never get to “et tu, Brute?” and probably no play – take out the arrogance, betrayal and murder and you’re left with a pretty boring tale. I had an interesting moment on the musical front last week – I usually have Pandora or Spotify streaming in my office, programmed to my particular taste. A unfamiliar song caught my ear, which was by an artist I had never heard of. A couple of quick pecks at the keyboard and Google revealed that the song was by a very prolific English artist who had put out more than 20 records since about 1980. His offerings completely fall within my tastes – a mix of snarky British punk, punchy folk, straight guitar rock and a few blues chords thrown in for good measure. The guy is a contemporary of a whole host of musicians and bands I listen to all the time. How in 30 plus years of listening I had never heard of this guy is a mystery to me. For those so inclined, check out Billy Childish a/k/a Wild Billy Childish. He records under his own name as well as Wild Billy Childish and the Musicians of the British Empire and Wild Billy Childish and the Chatham Singers. He has also been in the bands Thee Milkshakes and Thee Headcoats and makes appearances on scores of other records. In some pictures, he also sports a jaunty rogue’s mustache, making him perhaps a hipster before there were hipsters. Good stuff. Three cases this month – first up is a New York Court of Appeals decision addressing whether a stairway is subject to a Village’s prior written notice statute – simple enough, nothing to see. But there’s more – the case also includes a discussion of how settled precedent interpreting a statute should be viewed when and a terrific dissent that questions the underlying rule and sets forth facts that cause the reader to perhaps view the case in a different light. There are also two late notice of claim cases – the first considers the common question of actual notice, including an argument that the potential defendant’s insurance carrier’s awareness of the underlying accident fulfilled that requirement. The second is interesting to how the plaintiffs’ counsel addressed the need to seek leave to file late notice, which it turns out was basically not at all – the plaintiff simply served the notices two years late (the case involves an infant, meaning the time limits were tolled) – and then filed the lawsuit 4 years later. At that point, a motion was made to address the late notice issue. The defendant didn’t object until that motion was filed. That is not the process described in New York’s General Municipal Law. Questions, comments and contrary opinions are always welcome. Is a Village owned stairway, constructed to facilitate passage between a public roadway and a Village owned parking lot a “sidewalk” for purposes of the Village’s prior written notice law? The case has a very vigorous and entertaining dissent and was filed by Justice Rowan D. Wilson. Plaintiff fell while descending a Village owned staircase that connected a public road to the Village of Pulaski to a Village owned parking lot. As eloquently described in Judge Wilson’s dissent, that parking lot, and the connecting stairway, was necessitated by the presence of a well-known and hugely popular fishing spot (the “Black Hole”) on the Salmon River, which flows through the center of the Village. Plaintiff was in fact a fishing guide who had traveled to the Village (on a day off, so no clients) for a day of fishing. Unfortunately for plaintiff, he fell before he was able to cast a line. That stairway was constructed of railroad ties and included a railing. Plaintiff was not able to state with specificity (i.e. he wasn’t sure) what caused his fall - either the allegedly rotted or rutted condition that made up the stairway or a spike that was part of the stairway’s construction. It was undisputed that the Village had not received any prior notice of a defect or hazardous condition on the stairs. Following discovery, the Village moved for summary judgment on three grounds – (1) that plaintiff could not identify the cause of his fall, (2) That Village had not received, as required by Village Code, prior written notice of any dangerous condition or defect involving the stairway and that (3) the Village did not have constructive notice of the allegedly dangerous condition. The trial court first found that the plaintiff’s description of his fall was sufficient to create a question of fact about the cause of his fall. Because the lack of prior written notice barred the plaintiff’s claim, the trial court did not address the Village’s third argument, the lack of constructive notice. Following the Appellate Division, 4th Department’ one line decision affirming the lower court order “for reasons stated in the decision at Supreme Court,” plaintiff was granted sought leave to appeal from the Court of Appeals, resulting in the present decision. Stating that its prior Woodson decision had resolved the “identical question,” the Court of Appeals wrote that the present case was a matter of applying settled precedent and not a decision that required the interpretation of a statute. This point is significant, the court noted, because an “extraordinary and compelling justification” was necessary to overturn precedent interpreting a statute – the point being that if the legislature believed a court’s decision(s) misinterpreted a statute, it had the ability and means to correct that misinterpretation. No such legislation had been enacted in the nearly 20 years since Woodson had been decided, making the court’s interpretation longstanding, a factor weighing in favor of letting the precedent stand. Justice Rowan D. Wilson did not agree with his learned colleagues on the Court of Appeals, penning a lengthy and animated dissent. Judge Wilson objects not only to the Court’s decision on the facts of this case, but to the analysis generally and the use of the “functional equivalent” test found in the Woodson decision. In his mind, that test improperly focused the analysis on the use of the structure at issue. Justice Wilson argues that the focus should be on what the structure is, followed by a simple inquiry - is the structure at issue one listed in the statute? According to the Village Code (which largely matches New York Village Law §628) prior written notice was required for claims based upon defects in any Village “street, highway, bridge, culvert, sidewalk or crosswalk.” The word stairway is notably absent. In this case, we ask: is a stairway a “sidewalk”? Conventions of normal English, legislative policy, and the invention of the escalator, would answer “no.” But through the alchemy of a “functional equivalence” test conjured from Woodson v. City of New York, 93 N.Y.2d 936, 937, 693 N.Y.S.2d 69, 715 N.E.2d 96 , one can buy a sidewalk to heaven, climb the sidewalk to the stars, and build a sidewalk to paradise (with a new slab every day). Indeed, while on the subject of alchemy, if Harry Potter was set in New York, his Dursley abode would no doubt change to a cupboard under the sidewalk. By holding that the stairway in this case is a “sidewalk,” the majority rewrites the Village Law to provide that the prior written notice rule applies to actions seeking damages for personal injuries allegedly sustained as a consequence of a defective village stairway – even though the legislature specifically declined to include stairways in the list of municipal passageways to which prior written notice protection applies. Judge Wilson concludes by noting plaintiff had not asked the Court to overturn the Woodson decision and that he had “no occasion” in writing his decision to consider whether the Woodson rule (and its underlying premise) was unworkable or created more questions than it answered, and whether therefore a new rule was necessary. Fair enough, but the 20+ paragraphs that appear ahead of that statement lead me to question Judge Wilson’s real view of the Woodson rule. [A]“railway tie” stairway, made of compacted earth nosed with recycled railway ties, many of which still include the rusted nails they once had. The stairs are steep, irregularly spaced, with the space between the nosings made of grasses and muddy strands with potholes and muddy clumps (which were exacerbated due to a recent heavy rain). The railings were rickety and wooden, and at a low height; there was also less railing on one side than the other. You will still get you from the parking lot to the street, but the two descriptions almost certainly conjure up different images about how safe that travel will be. The first gives you no reason to imagine anything other than a neat and tidy passage – regularly spaced steps, a nice railing – nothing to even question. The latter suggests securing the services of a pack burro or the summoning of your favorite ride sharing service might be a better strategy. To most people, a stairway is a uniform structure. But for Judge Wilson’s dissent, who would think to even think that was perhaps not the case. In the not too distant past, it was necessary to see what the Court was actually describing. Today’s technology is rapidly changing that – in counties where e-filing is now the norm, a web browser has replaced a call to an attorney involved with the case, a trip to the location or the County Clerk’s Office to look at the motion papers should one wish a more detailed look under the hood. In fact, I have personally handled several motions and appeals where that easy access has allowed a more specific argument about why a particular decision should or should not apply to the case at hand. I look forward to reading more of Judge Wilson’s writings. What’s not to like – articulate and reasoned decisions that reference alchemy and Harry Potter and provide fishing tips – that’s a win in my book. March 6, 2019 Harding v. Yonkers Central School District, et al. Late Notice of Claim – Petitioner did not establish that the school district acquired timely notice when petition was filed 5 months after the accident. Plaintiff was injured when his vehicle collided with a school district owned vehicle. The police report for the accident did not note that anyone had been injured. 76 days after the accident, petitioner filed Notices of Claim with the City of Yonkers, the City’s Department of Public Works and the driver of the school district’s vehicle, but not the district itself. Five months later, the petitioner filed to serve a late notice of claim on the District. In support of the application, the petitioner cited to the police report, an apparent report of the accident to the district’s insurer and the timely notice served on the driver of the district’s car. My assumption is that the driver of the district’s car was an employee, although the decision is silent on this point. That the petitioner served a Notice of Claim on the driver is an indication that the petitioner believed that to be so, since the Notice of Claim requirements apply to claims made against municipal employees named as individual defendants. The Court rejected the claim that the district had timely notice – the court noted that the police report didn’t indicate anyone was injured and there was no evidence to suggest that the district’s insurance carrier had notice of the petitioner’s personal injury claim – I believe that the court noted the carrier didn’t have notice of the injury claim, as opposed to notice of the accident itself is significant. The report to the carrier of the accident would have been based on the district’s driver’s report and perhaps the police report – if there was no indication there was an injury, the carrier would not have any reason to investigate. What drew my attention to the decision (every month brings a slew of late notice of claim cases) was the argument that the district’s insurer had notice. A couple of other points the New York Police Accident Report form (MV-10A) has a box in which the code number for each driver’s insurance provider is entered. Why the district carrier wasn’t notified that petitioner had an injury claim as soon as counsel was retained (the timely notices of claim were filed on day 76) seems odd. Also – presumably the district’s insurer covers the driver for this claim – meaning that the absence of the district (assuming there is no claim beyond the driver’s negligence) may not change how petitioner’s claim proceeds. March 6, 2019 Feduniak v. New York City Health and Hospitals Corporation, et al. Court overturned the lower court and granted plaintiff’s motion to deem previously served but late Notice of Claims timely served nunc pro tunc. The statutory process for a late notice of claim requires the prospective plaintiff to petition the court to allow the late service, with the petitioner required to show that the prospective defendant had actual and timely notice of the substance of the claim, a lack of prejudice to the defendant, a timely excuse, etc. In this medical malpractice case, plaintiff did not follow that prescribed path. The Notice of Claim was filed two years after the underlying medical procedure. The hospital corporation provided some requested records to plaintiff and noticed and conducted (ten months after the untimely notices were served) a hearing pursuant to General Municipal Law §50-h. Following the hearing, plaintiff served an amended Notice of Claim, still without seeking leave of the court. Three years after that (the underlying plaintiff was a child, meaning the statute of limitations was tolled) the plaintiff filed their lawsuit. One month after commencing the lawsuit, plaintiff moved to have the previously served Notices deemed timely served. It’s not clear what triggered the motion – my guess would be an affirmative defense included in the hospital corporation’s answer. The motion was misfiled and ultimately not argued until five months later. The hospital corporation cross moved to dismiss for a failure to timely file the Notices of Claim. The trial court then ruled in favor of the hospital corporation and dismissed the entire action. The appellate division reviewed the case using the same factors that would have been considered if the matter came before the court as a properly filed petition to serve a late notice of claim. There is case law, noted by the court, that holds a late notice served without leave of the court cannot be argued to give a potential defendant notice. That precedent didn’t save the defendant. The court noted the tolling that applies to a claim brought on behalf of an infant and that while the plaintiffs were not aware of the medical problem until after the initial 90 days had passed, the hospital was aware of the underlying issue. The court also noted that the petitioner had established that the hospital corporation had not been prejudiced by the delay in bringing the late notice issue before the court – the medical records were always available, and by at least the time the §50-h hearing was conducted (more three years before the motion was decided), the hospital corporation was aware of the specifics of the claim. I think the Court’s ruling in favor of the plaintiff is appropriate on the underlying facts – the hospital had all of the underlying medical records for the time the infant was under its care, meaning the delay hadn’t caused the loss of that information, and the §50-h hearing would have cleared up any misunderstanding. That said, plaintiff was clearly playing with fire but blatantly ignoring the established procedure addressing a late notice of claim. Well March is here, and we should be seeing signs of spring, but we are still stuck in temperatures in the single digits. March also means St. Patrick’s Day, which hold a special place in the Potenza household as it is the day my wife and I first met … at a bar at the St. Patrick’s Day Parade in Buffalo (which is one of the best in the country). Growing up in a predominately Italian family, the running joke was that an Italian’s version of hell is an Irish bar where it’s St. Patrick’s Day every day. Meanwhile, my wife’s off-the-boat Irish grandmother warned her to stay away from “them Italians.” Well, 17 years and three kids later, I guess it’s an American love story, or something like that…. There are two interesting asbestos decisions this month. The Court of Appeals affirmed the finding that a General Release executed to resolve a prior non-malignant claim does preclude a later claim for asbestos related mesothelioma. In a win for the defense, the First Department awarded summary judgment to a defendant on a successor liability claim. What is a leprechaun’s favorite music? 2/21/19 In re New York City Asbestos Litigation, South v. Chevron Corp, et al. Court of Appeals affirms finding that General Release executed to resolve prior non-malignant claim does preclude later claim for asbestos related mesothelioma. The decedent plaintiff alleged that his mesothelioma was caused by exposure to asbestos during his 37-year career in the Merchant Marine, and that defendant Chevron/Texaco manufactured, produced, sold, supplied, merchandised and/or distributed asbestos-containing products that were located on the ships plaintiff worked on. Texaco moved to dismiss on the basis that plaintiff had previously executed a General Release to Texaco in a prior asbestos related lawsuit in 1997. The release included any "bodily and/or personal injuries, sickness or death," which allegedly occurred as a result of plaintiff's asbestos exposure. The release acknowledged that the "long term effects of exposure" to asbestos might result in "obtaining a new and different diagnosis from the diagnosis as of the date of this Release." As plaintiff’s claims were brought pursuant to the Jones Act (46 USC § 30104 et seq. ), the prior release faced the scrutiny of section 5 of the Federal Employers' Liability Act (FELA) (45 USC § 55), which requires strict scrutiny of releases and prohibits agreements that exempt common carriers from liability. Under that standard, plaintiffs asserted that at the time plaintiff signed the prior release, he did not have mesothelioma and was not aware of the risk of mesothelioma as a potential injury from his asbestos exposure. As we previously reported, this decision is surely troublesome, but we should remember that the prior release was scrutinized under the heavy FELA standard. It should be a caution to all of us, however, to not take releases lightly, and ensure they will withstand later scrutiny. 2/19/19 Dristas v Ahchem Products, et al. Plaintiff failed to establish “continuity of ownership” to defeat successor liability summary judgment motion of defendant who acquired predecessor’s product line through an asset purchase agreement. The First Department reversed and dismissed plaintiff’s attempt to hold an alleged successor corporation liable for injury from the predecessor’s asbestos containing products. Plaintiff sought to hold defendant ITW Food Equipment Group, liable, as a successor to the Vulcan-Hart Corporation, for the consequences of her decedent's exposure to asbestos between 1969 and 1988 arising from his work on ovens, grills and broilers manufactured by Vulcan-Hart. Vulcan-Hart's assets were purchased in 1986 by Hobart Corporation pursuant to an asset purchase agreement, and ITW acquired Hobart Corporation's product lines and other assets in 2002. Defendant established prima facie that there was no de facto merger between Hobart and Vulcan-Hart that would make Hobart responsible, contrary to the general rule, for Vulcan-Hart's preexisting liabilities because there was no continuity of ownership between the two corporations. The asset purchase agreement stated that Hobart purchased Vulcan-Hart's assets for cash. In opposition, plaintiff failed to raise an issue of fact as to continuity of ownership. There is no evidence in the record that any other transaction took place in which Vulcan-Hart's shareholders obtained an interest in Hobart. March Madness is almost here and we finally get a Duke versus UNC matchup with one of the most electrifying players in college basketball finally available to play: Zion Williamson. I hope the freak injuries are over for Duke, Zion’s sneaker does not explode, and we can just sit back and enjoy exciting basketball. Good luck to those filling out brackets, and feel free to reach out and tell me your favorite matchups, underdogs, or inevitable buzzer beaters. I love this game. See you next month, and enjoy March Madness! Defendant is not entitled to a conditional order of indemnification where the Court found a triable issue of fact whether defendant and third-party defendant were aware that customers used the ramp where plaintiff fell and whether they allegedly created the dangerous condition that led to plaintiff’s fall. Plaintiff was injured when she slipped and fell on a ramp leading from the back of third-party defendant’s bagel shop, located on defendant’s building. Defendant built the ramp at the rear of the building to provide access to the kitchen long before third-party acquired the bagel business and leased the premises from them in 2014. Plaintiff’s expert opined that the ramp’s 20% slope was hazardous, that it was not constructed with non-slip materials, and that a handrail was required under the pertinent building code. Conversely, defendant’s engineer expert affidavit opined that the relevant building codes cited by plaintiff only applied to ramps used for “means of egress” and not utility ramps. Defendants’ third-party claims emanated from a lease and ride, requiring third-party defendant to indemnify it for claims arising out of the negligence of third-party defendant. The trial court denied third-party defendant’s motion for summary judgment dismissing the third-party complaint for contractual and common-law indemnification or contribution, and granted defendants’ cross-motion dismissing plaintiff’s complaint against them and for conditional indemnity. Without showing that defendants were free from negligence, the Third Department held defendants’ “claim for either contractual or common-law indemnification [was] premature” (see General Obligations Law § 5-322.1). Not only were there competing expert testimony regarding the ramp, but the trial court credited the deposition testimony of defendant Lentzoz that, during the time defendants operated the bagel shop, they never allowed customers to utilize the ramp. Conversely, plaintiff testified she frequented the shop at least twice a year for over 29 years to pick up large bagel orders for her work and “more often than not,” she would use the ramp to pick up the bagels at the back of the building. Thus, the Court held these discrepancies as to customer use and code compliance raises questions of fact as to whether defendants allowed customers to utilize an unsafe ramp. As there are questions of fact whether defendants were aware that customers used the ramp, the Court also found a triable issue of fact whether they created the allegedly dangerous condition that led to plaintiff’s fall. As a result, the Court reversed the trial court’s granting of defendants’ cross-motion for conditional indemnification. The Court further held plaintiff’s description of her incident raises a question of fact as to whether she was invited to use the ramp by third-party defendant’s employee. As third-party defendant occupied the premises for almost two years and its agents maintained the ramp to remove ice and snow, the Court also found issues of fact regarding third-party defendant’s control over the ramp such that it affirmed denial of defendant’s motion for summary judgment seeking dismissal of the complaint. Summary judgment denied where plaintiff raised issues of fact whether vestibule area was dangerous. Plaintiff fell down allegedly unlighted stairs to a basement in defendants’ building because of a broken light fixture. Plaintiff’s brother and cousin, residents of the building, stated the fixture was broken for a week before the incident and plaintiff’s brother indicated defendant Rodriguez was aware of the problem. The trial court denied defendants’ motion for summary dismissing plaintiff’s complaint. Although Rodriguez discussed general routine maintenance he would engage in at the building, he could not specifically recall whether he inspected the area on the day before the incident. Thus, the First Department unanimously affirmed, finding triable issues of fact whether the building was dangerous due to the broken light and plaintiff disputed defendants’ claims that there fixtures at the top of the staircase leading to the second floor, at the bottom of the staircase leading to the basement, and on the exterior of the building. Plaintiff’s failure to submit evidence that defendant’s property was actually dangerous or defective, coupled with the ongoing storm in progress, rendered defendant entitled to summary judgment. Plaintiff arrived at defendant’s home to deliver oil during “heavy” snow with two feet on defendant’s lawn. Since the driveway had not been plowed, plaintiff decided to walk across the lawn, which was on an incline, and a rock wall, to reach the oil fill at defendant’s house. He walked up the street, up the snow-covered line, and over the wall to defendant’s house to find a connection for the hose to deliver the oil, and back to his truck, which was parked in the street, without incident. After returning to the truck, he turned on the pump and began to transport the hose. When he reached the rock wall, he put the hose down, stepped onto the wall, picked up the hose, and placed it on his right shoulder and held it with both hands. He took one step on the wall and then stepped down from the wall. When he stepped down, his foot went down, and as he was about to fall, he felt the hose pull him back. Plaintiff did not want to strike the wall, so he pushed forward and fell. The trial court granted defendant’s motion for summary judgment dismissing the complaint because she neither created nor had actual or constructive notice of any defective condition on the property that allegedly caused plaintiff’s incident. Here, plaintiff’s testimony regarding his fall demonstrated that it was not caused by any defect in the wall, and even if defendant had a duty to clear the snow to make a path of delivery, the Court held there was a storm in progress at the time of the incident. The Court additionally rejected plaintiff’s self-serving affidavit, which stated it was flurrying and not snowing when he arrived at defendant’s property, finding it contradictory to his prior testimony and therefore is insufficient to defendant summary judgment. March always flies by. I can’t believe we’re halfway through already and about to celebrate St. Patrick’s Day! I have never participated in the St. Patty’s day festivities here in Buffalo, but everyone says they are great. I am hoping to at least get to the parade this year, as I’m feeling particularly Irish given that I was in Ireland a few months ago, but as usual I have other obligations to attend to first this weekend. At the very least, I can go through pictures from my Ireland trip and pretend I’m there to celebrate, which is almost as good, right? Mailman attacked by dog defeats dog owner on summary judgment. In the most stereotypical of dog bite cases, plaintiff is mail carrier for USPS who was allegedly attacked by the defendant’s dog in Queens while delivering the mail. The defendant moved for summary judgment on the issue of the dog's vicious propensities. In support of this motion, deposition testimony of the parties was submitted. The testimony was conflicting as to the nature of the contact between the plaintiff and the dog on the day of the incident, and the party’s prior observations of the dog’s behavior and disposition. Therefore, the court found that there were questions of fact that existed as to whether or not the dog had vicious propensities, and whether or not the defendant knew or should have known of such propensities, and denied the motion. $500,000 likely excessive award on default for a dog bite injury. While this case stems from a dog bite issue, the lessons are in the procedural part of the cases. Plaintiff was allegedly bit by a dog at the premises owned by Debra Brown. Ms. Brown’s husband, Mr. Glasgow, was at the premises when plaintiff was bitten and identified himself to plaintiff as the landlord of the premises. Ms. Brown submitted an answer, but subsequently defaulted in appearing at preliminary conferences. Mr. Glasgow defaulted in answering and appearing. Subsequently, a default judgment was entered against both Brown and Glasgow in the amount of $500,000 – $200,000 for past pain and suffering, $300,000 for future pain and suffering. Brown and Glasgow moved to vacate the default judgment after receiving a notice of a Sheriff’s sale of the premises. Ms. Brown contended that she never received any documents after the summons and complaint, and Mr. Glasgow contented that he never received any documents at all related to the matter and only learned about the lawsuit after Ms. Brown informed him of the Sheriff’s sale. The court granted the vacatur, staying enforcement of the default judgment and directing that discovery take place, including the exchange of medical authorizations and party depositions. Plaintiff appealed from this order. On appeal, the Second Department discusses proper vacatur procedure under CPLR § 5015(a)(1). To the extent that Brown and Glasgow sought relief pursuant to (a)(1) based upon an excusable default, their motion was untimely because it was not made within one year after service upon them a copy of the judgment with notice of entry. The court also noted that the interests of justice did not warrant vacating the default judgment, because there was no evidence submitted to rebut the presumption of proper service of Glasgow and both Brown and Glasgow failed to proffer a reasonable excuse for their defaults. However, the Second Department noted that “a court has the inherent power to set aside excessive awards made upon default, despite the fact that there is no reasonable excuse for default. An unwarranted and excessive award after inquest will not be sustained, as to do otherwise ‘would be tantamount to granting the plaintiffs an “open season” at the expense of a defaulting defendant’.” In light of this power and the evidence in the record (plaintiff’s testimony at inquest and a police report stating that plaintiff suffered ‘minor injuries from an animal bite’) the Second Department agreed with the lower court’s determination to stay enforcement of the default judgment and direct further discovery as there are significant questions as to whether the award of $500,000 for pain and suffering was excessive. However, they were specific to state that the lower court should have also ordered that the issues to be determined were limited to the issue of damages as the default on liability stands. This case doesn’t actually have anything to do with escalator liability, but I wanted to mention it because the dissent is very interesting. The Village of Pulaski Code provides that “no civil action shall be maintained [against it] for personal injury sustained as a result of a defect in ‘any street, highway, bridge, culvert, sidewalk, or crosswalk’ unless prior written notice of the alleged defect is provided to the village.” In this case, the plaintiff fell while he was descending an outdoor stairway that connected a public road to a municipal parking lot. The Village did not receive prior notice of the alleged defect before the plaintiff commenced suit and moved for summary judgment, which the trial court granted and the appellate division affirmed. The Court of Appeals majority affirmed the grant of summary judgment dismissing the complaint, holding that the lower courts correctly applied Woodson when they found that the stairway at issue “functionally fulfills the same purpose” as a standard sidewalk, therefore requiring plaintiff to show that the Village received prior notice of the defect under their code. He continues on for roughly 5 pages, even quoting the Visit Oswego County, New York: Where to Fish website and discussing the plaintiff’s extensive fishing experience. Justice Wilson seems very passionate about the fact, in his opinion, that the Village is getting out of their own negligence in not properly maintaining the staircase at issue on the incorrect equating of a public stairway to a public sidewalk. He lays out a very compelling argument that Woodson has been extended beyond its holding and allows local governments less incentive to maintain their potentially dangerous stairways. Overall this is an interesting case on the interpretation of precedent, and a good reminder to always submit a notice of claim if you are injured by a municipality.